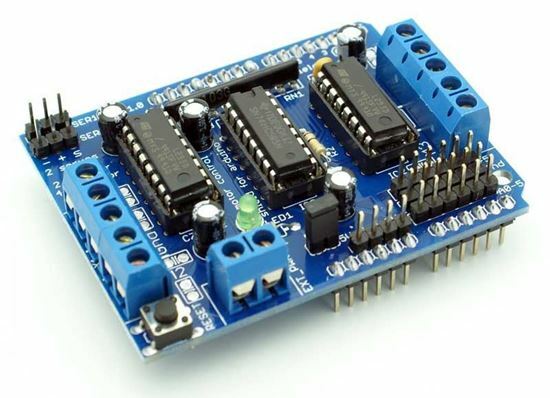 We will learn how to connect L293D H-bridge motor control shield and two MG91 or SG90 Micro Servo Motors to Arduino board. 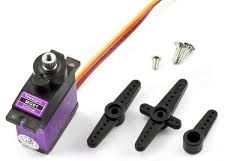 See the specification of MG91 mini servo here. 1. 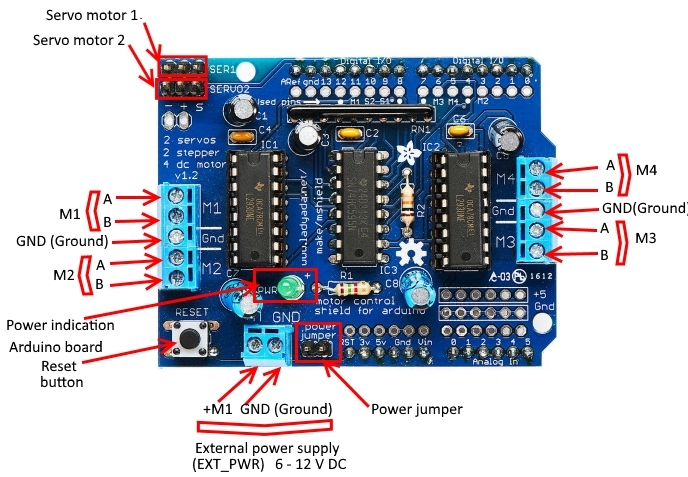 Power for the Servos comes from the Arduino's on-board 5V regulator, powered directly from the USB or DC power jack on the Arduino. 2. 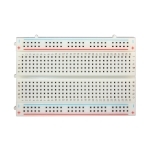 If you need an external supply for your servo motors, cut the trace right below the servo pins (on v1.2 boards) and connect a 5V or 6V DC supply directly, which requres some modification (soldering of additional pins) too. Additional pins installed, connected together 1 to 1, 2 to 2 on the back of L293D motor driver shield module. Do not forget to cut both traces to + pins. 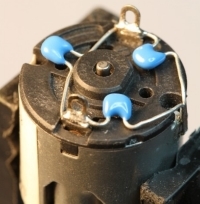 Using an external supply is for advanced users as you can accidentally destroy the servos by connecting a power supply incorrectly! When using the external supply header for servos, take care that the bottom of the header pins do not contact the metal USB port housing on the Arduino. A piece of electrical tape on the housing will protect against shorts. 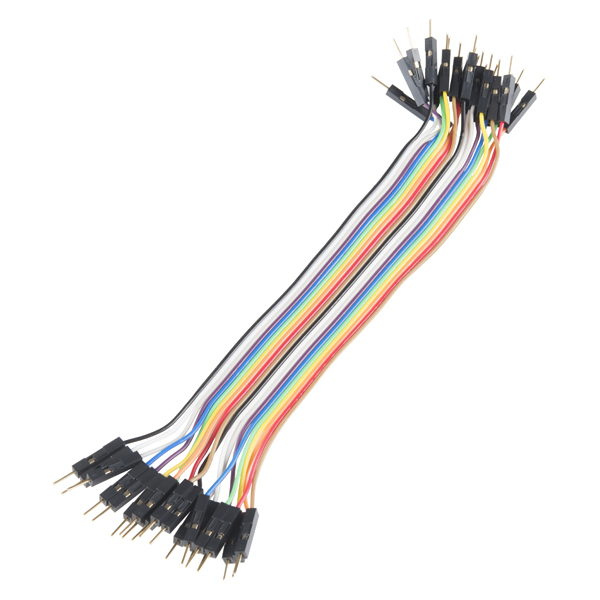 We are not responsible for any damage to your Arduino board or L293D motor driver shield as you do these modifications on your own risk. 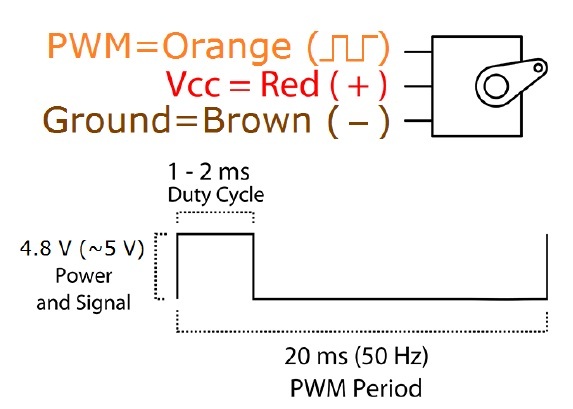 The sketch is a simple sketch to use the Motor Shield without the Adafruit library. 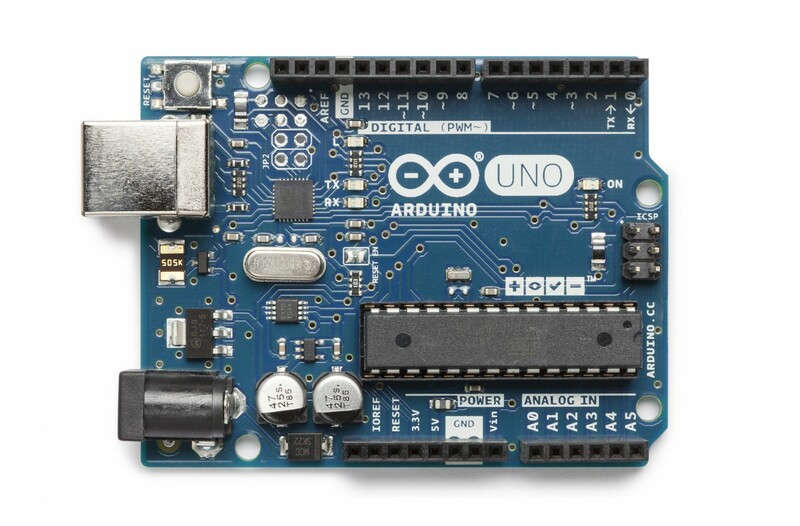 Verify and upload the the sketch to your Adruino Uno board. 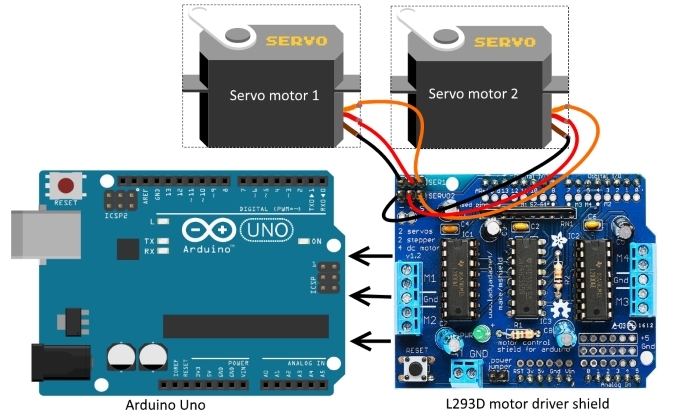 Both servo motors turn from 0 to 180 degrees and from 180 to 0 degrees in a loop. 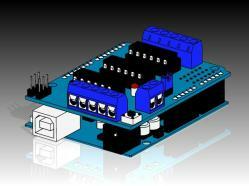 We will use the Servo library for this project. 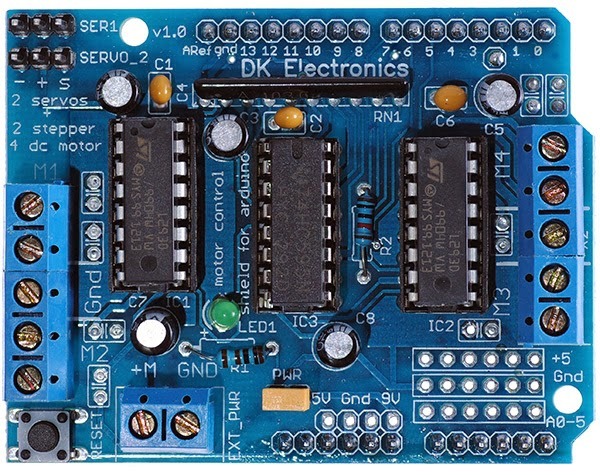 Servo library included in Adruino IDE program which installed in your PC. It should be here: C:\Program Files (x86)\Arduino\libraries. If you do not have it - see attachement on the begining of this project. Download, unzip and add to libraries in your PC, for example C:\Users\toshiba\Documents\Arduino\libraries. This link you can find in Preferences of Adruino IDE program which installed in your PC.